Having an accordion-playing father I was exposed to the accordion at a young age not only when my father sometimes got his accordion out to practise or when his musician friends came round for a jam. He was a keen amateur and had circumstances been different I’m sure he would have loved to have been a professional accordionist. When our old Portadyne Radiogram finally gave up the ghost my father treated the family to a new Ferguson Stereogram, with stand alone speakers!! It would remain under dust covers on top of a cupboard but came out at Christmas time and Easter where we would listen to his record collection which featured accordionists like Toralf Tollefsen, Jo Basile, Jo Privat, Emile Prud’homme, Pino Piacentino, Carlo Venturi, Barimar, Nando Monica, Wolmer Beltrami and Gorni Kramer and others. 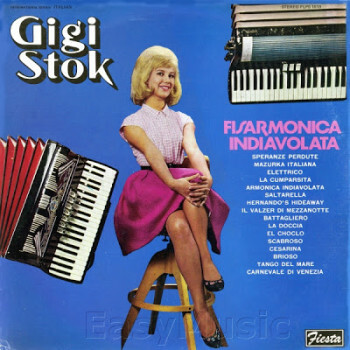 One of the most impressive was an accordionist who went by the name of Gigi Stok. Gigi Stok was born Luigi Stocchi in Bianconese Parma, Italy in 1920. He studied the accordion under the guidance of Maestro Marmiroli, who together with Savi were amongst the best accordionists of their era. At the age of 13 he made his public debut together with his father, a singing storyteller, and here started his road to fame. He won the Concorso Nazionale di Fisarmonica in Macerata equal first place with Riccardo Ducci. 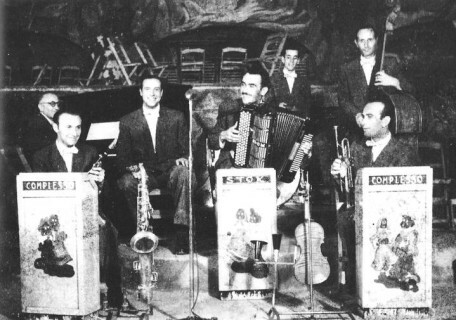 In 1938 Stok joined the Tamani Orchestra a famous ensemble of its day. 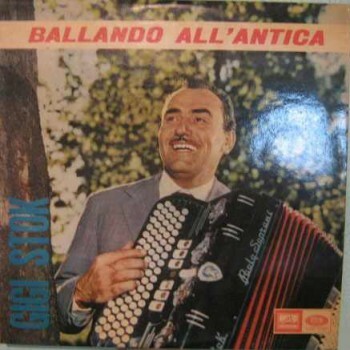 After the interruption of the second World War, during which, he was dispatched to the artistic division after a colonel heard him play The Thieving Magpie on the accordion, Stok formed his own Ensemble and began to include some of his own compositions in the orchestra’s repertoire. After playing at the Casino in Parma he became a regular feature at the Giardino D’Inverno (Winter Garden) in Parma’s Ducale Park where he played three nights a week. He also played at La Bussola, the famous seaside venue in Viareggio where he met a black Cuban singer Marino Barreto who he then employed as a singer in his own Ensemble at the Giardino D’Inverno. In 1950s Parma, where he would have found it difficult to find a hotel that would give him bed and board. 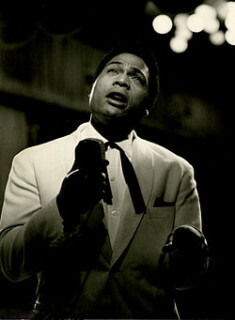 Nevertheless prejudices were soon defeated by this singer’s wonderful voice. After a brief success with Stok’s band, Barreto took off on an even more successful solo career taking half of Stok’ s band with him. Within a fortnight the not-to-be-defeated Stok had formed another band with which he had continued success. He, along with a handful of accordionists of his generation, were the accordionists that introduced the element of virtuosity into dance music just as was commonly seen in the American swing bands of the same era where artists such as Harry James on Trumpet, Artie Shaw and Benny Goodman on Clarinet, Lionel Hampton on Vibraphone, all did a similar thing in the 1940s. At the end of the 1940’s, after an audition where he played one of his own compositions namely Elettrico, His Masters Voice/EMI in Milan La Voce Del Padrone, realising his virtuosity offered him a recording contract, a relationship which was to last until the 1970’s. His successful recording career still required him to promote himself by a tiring touring schedule. In 1966 he was asked to compose a piece for a Film that was to star the actor Ugo Tognazzi, well-known in Italy if not so much abroad. The film was L’Immorale and the piece was Vecchi Ricordi. 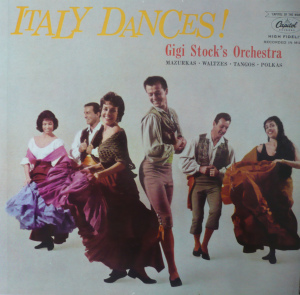 Although ballroom dancing went out of fashion in the 1960’s, Gigi Stok did not, and remained popular especially amongst Italians from his region living outside Italy. In the brief period when the accordion would get booed off the stage he played bass in the band and started arranging light classical music for the accordion ready for it’s anticipated comeback. 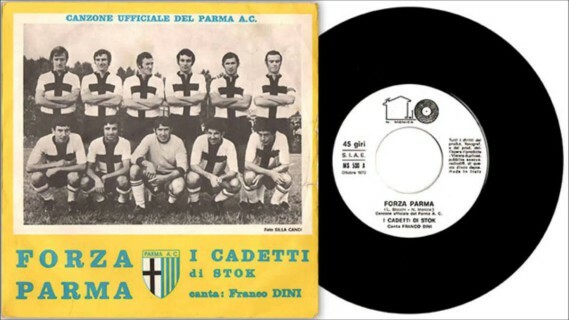 By the late seventies Gigi Stok decided to take things a little easier and launched a band called I Cadetti di Gigi Stok where he would make the odd guest appearance but the accordion playing was left largely to Corrado Medioli. In respect of his technical perfection and contribution to Italian accordion music of the popular and ballroom genre, he was awarded the Life Achievement Award at the London Accordion Festival 2001. He was unfortunately unable to attend due to his already advancing illness but Corrado Medioli, who brought a letter of thanks from his wife Carolina, accepted the award on his behalf. I first met him in 1982 in a village in the mountains called Cassio where he spent his summers and annually organised a local accordion festival. He had already retired from playing live by then but offered me, then aged only sixteen, words of encouragement in my work with my then fledgling band. I’m pleased to say that he lived up to the expectations as a person one has when one imagines what a childhood hero would be like. He was avery nice, polite man who made me feel like he really was interested in what I had to say. I spoke to him in the 1990s on the telephone and he recounted many interesting stories about his career. During this conversation I realised that his legendary reputation for technical excellence was not a myth. He told me that he was never really happy with those early recordings for His Master’s Voice because more often than not he only got to do one take and if he’d made a slight slip the producer would argue that it didn’t matter because the energy was right. Being young and new to the game he didn’t want to argue so many years later in the 1970s and 80s he re-recorded many of those early tracks to a standard that was to his satisfaction. I have to say that anyone, no matter how musical, would be hard pressed to find the slip-ups that bothered him so much in those early recordings. Although his later recordings are beautifully played and technically perfect I have to say that those early recordings do have that certain energy and magic that the producer liked so much. The line-up usually consists of Stok on accordion, accompanied by an acoustic guitarist and a Double Bassist joined by a pianist for the Tangos. The recordings breathe, like a live recording of a trio or a quartet should and so the ensemble playing is more interesting musically than the later “technically perfect” recordings which usually involve electric guitar, electric bass and sometimes keyboard and sax and are probably multi-tracked. His Paganini’s Moto Perpetuo is impressive although for someone whose left-hand technique was so good, his decision to record it with electric bass and guitar might seem a little strange. Triumphal March from Aida (Verdi), Va Pensiero from Nabucco (Verdi), Radetzky March (J.Strauss) La Campanella (Paganini) amongst others were recorded in the same way. One can only imagine that a certain amount of popularisation was required in order to cater for his audiences in the same way Hooked on Classics brought classical music themes with a disco beat to the masses in the 1980s. His audiences would probably have known the accordion only as a vehicle for dance music or folk and perhaps were not yet ready for the more purist approach of his contemporary Gervasio Marcosignori. I was very pleased to be able to arrange a special medley of his hits entitled Gigi Stok Fantasia for performance with the BBC Concert Orchestra at the same festival and together with Mauro Carra and Corrado Medioli had great fun playing it to an enthusiastic auditorium. It consisted of some of his more famous international successes, along with one or two of his lesser-known works. Vecchi Ricordi, Elettrico, Tango Gagliardo, Penombra ,L’ Indiavolata, L’Italiano a Parigi, Signora Fisarmonica, Il Silenzio Fuori Ordinanza and Brioso. The accordion has moved on considerably in the last fifty years. 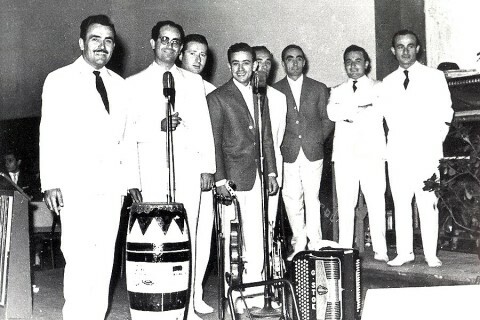 Accordionists are playing music never before imagined so it is easy to scoff today at musicians that were pioneers in their day because their field was perhaps one that has always been associated with the accordion. 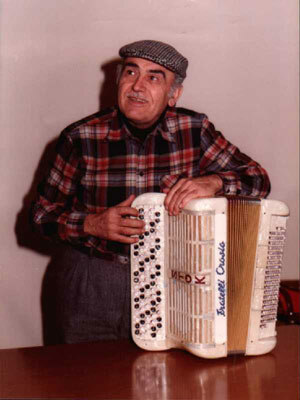 The “Accordion Virtuoso”, who plays Monti’s Czardas and Dizzy fingers may have become a clichè today but play these pieces on a pre-war instrument and he can be likened to some of the young eastern- european players often seen heroically competing in festivals all over Europe ten years ago on accordions held together with gaffer tape. Add to this the amount of music that the average European of that era was exposed to, owning a radio if lucky, not to mention a TV and a different picture emerges. 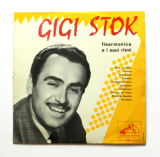 Gigi Stok sold records all over the world. Still today I find his LPs cropping up on line from far flung places and especially from the United States. Gigi Stok died at the end of February 2003 after a 3-year battle against Alzheimers. He was buried on the 2nd of March in the village of his birth, Bianconese in the province of Parma where he had begun his career accompanying his father. Gigi Stok and his peers made young players of his generation and later my own generation aspire to playing pieces where a good technique rendered a piece exciting and was a sign of bravura. His left-hand semi-quaver runs in fast waltz tempo made many players realise that the left-hand keyboard was for more than just vamping along. 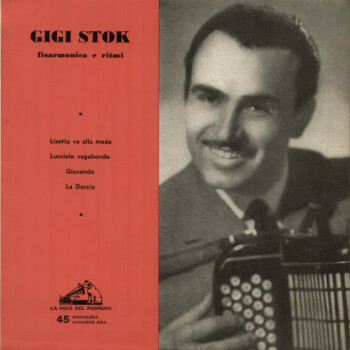 Gigi Stok limited himself to playing the dance music he knew best but nevertheless raised the profile of the accordion and it’s technical possibilities within that genre. I fully acknowledge and appreciate the influence his music had on me as an enthusiastic teenager wishing to attain the clarity and crispness of this man’s dazzling technique. He has been missed by many but I for one shall always keep a handful of his pieces well practised and regularly performed for a willing audience.